At a traditional Irish wedding it is considered bad luck for a woman to be the first one to congratulate the bride and wish her well. For this reason a close friend or relative of the groom will also take it upon himself to ensure that he is the first to congratulate the bride. For good luck to the marriage, a sprig of shamrocks is tucked into the bouquet. The lucky Shamrock is also the symbol of Ireland. Modern brides will also attach a shamrock necklace or charm to their bouquet with a piece of ribbon. 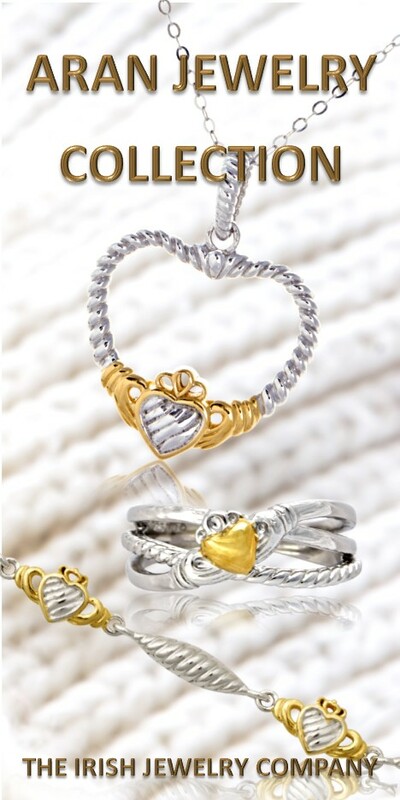 This way the have a keepsake or memento for their children to pass onto on their wedding day. Irish brides used to carry a real horseshoe turned up for g ood luck. During the wedding ceremony Then after the wedding the groom would hang the horseshoe in their home, turned up preserving the luck of the home. Every Irish house needs this charming Irish horseshoe plaque to welcome all who enter their home. Did you know the phrase “Tying the Knot” originated with the ancient Celtic ceremony of hand fasting? 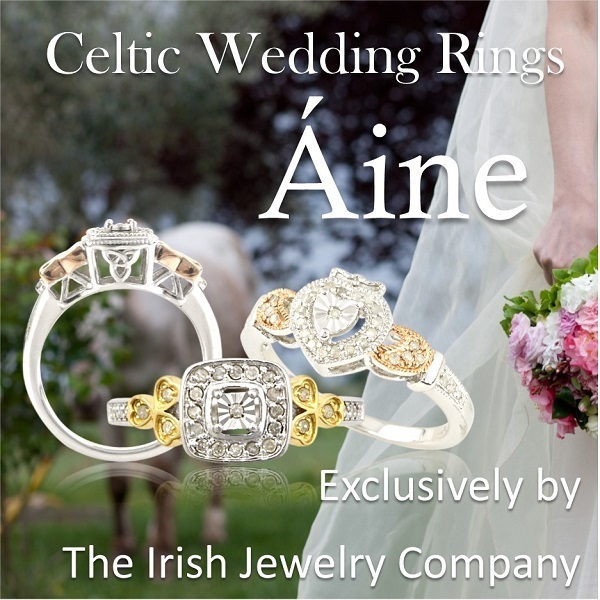 This old Celtic tradition symbolizes the joining of two as one similar to the exchanging of rings today. The couple clasps their hands together and a brightly colored cord in the bridal party colors is wrapped around their hands as a symbol of their unity in marriage. It is a tradition in Ireland to present a couple with a “make-up” bell for their wedding or anniversary, even engagement. The chime of bells is thought to keep evil spirits away and to restore harmony if a couple is fighting. The sound of the bell, much like a church bell is to remind a couple of their wedding vows. This bell is also rung when one partner is ready to “make up” and end any little quarrel. Each partner should take turns ringing the bell, lest a quarrel begin again. Irish lace began in the 1800’s many families in Ireland lived in small thatched cottages on land called crofts producing crops for the Lord of the Manor. Crofters were “dirt poor” with little money for necessities. Then the potato blight hit between 1845 and 1851 destroying the crops and causing thousands of families to starve. The Ursuline nuns were familiar with Venetian lace, brought over from France. The nuns used their skills in crocheting lace to help save the people from the famine. They began schooling women to produce the fine crochet that has come to be known as “Irish lace.” The more affluent Irish families that could meet the expense to buy the lace earned the name of “lace curtain Irish.” Families had their own designs and motifs and closely guarded their patterns which were passed from mother to daughter. The particulars were kept so secret that many of them vanished as the families either died or fled the poverty for other lands.